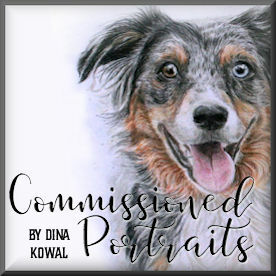 Dina Kowal Creative: Happy Birthday to Me!! New Year's Baby checking in! Celebrating with an older card from my Dirty Girl days!! The image I used is by illustrator Maurie Manning – it’s called Penelope’s Party Wagon. I colored the image with Touch Twin Markers. The sentiment is from Skipping Stones Design. I love that my birthday is on the first day of the year - a clean slate, and the promise of many new adventures and opportunities. After looking back all that happened in 2012, I'm excited to see what's ahead! ...and I have some freelance mixed media work coming my way, new products to work with, life to explore... I'll share more about what life is like around me too, and try to remember that designing is not my 'day job'! I'm 38 today and 38 has always been my very favorite number - that makes me even more excited to live it out. I'm grateful for those of you that will be along for the ride! Happy Birthday and Happy New Year. I really enjoy your blog and the great inspiration you provide. I look forward to seeing whats in store in the New Year. Dina: Happy, happy birthday and New Year! Your blog inspires me everyday and I look forward to it again this year. Happy Birthday! And Happy New Year, too! God bless. Wishing you a really special birthday, Dina! You're still very much a "spring chicken"! :-). I remember this dirty card...fabulous coloring skills going on! Happy Birthday.....a day late. I hope you had a wonderful day and beginning to your 38th year. Happy 38th birthday. I hope it was a good one. Your card is adorable. Your colouring is amazing. Happy Birthday x 38! Love your cards & blog and wish you a great 2013! Happy Birthday & Happy New Year!!! I am a day late but Happy Birthday to you oh talented kid you!!! I do love your card! Happy New Year birthday a day late! I wish you a year rich in blessings. I do appreciate the pleasure and inspiration you give me daily as well as your willingness to answer questions and share you expertise. Happy Birthday & Happy New Year! I know this will be a great year for you with all your wonderful & amazing talents! Your card is just adorable, by the way! Happy birthday young lady. I loved my 40's and hope that your's will be wonderful as well. Rs. I loved the image..so very cute. Hope your birthday was fabulous and 2013 will be even more so!! 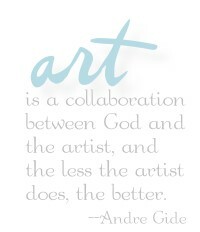 Looking forward to your mixed media - I love working with all that "stuff"! And I wish I was 38 again! Oh,to be 38 again! It was a great time in my life and I am sure it will be a great year for you! Looking forward to many more bits of inspiration from your work. Have a great Year! Happy Birthday (just a wee bit late)! What a wonderful year in review! I will look forward with you - to see where this amazing life takes you, and me, and all of us. Thank you Dina for sharing.